Veronica Babbitt and Madeline Heaton, fifth-graders at Kittrell Elementary School and Walter Hill Elementary School, recently won the first countywide Amazing Shake, a competition that focuses on "soft skills" such as students’ manners, discipline, respect and professional conduct. They will next compete at a national competition hosted by the Ron Clark Academy in Atlanta. The students and Elementary Coordinator Ann Haley recently sat down with James Evans and Keith Ryan Cartwright to discuss the competition and their plans for the future. 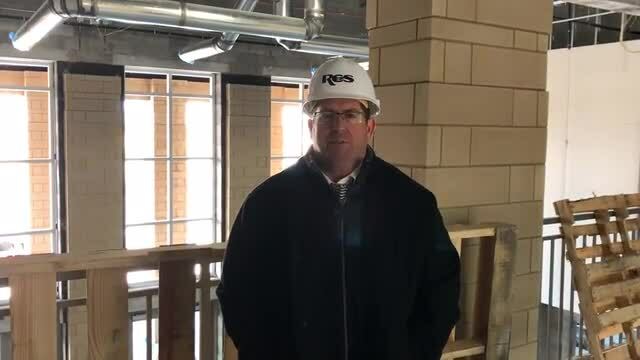 Check out this message from Rockvale High School Principal Steve Luker about plans for the new school. When Rockvale High School opens in August 2019, it will become the 11th high school for Rutherford County. Mr. Steve Luker, a veteran educator and administrator, has been named the principal. Luker currently serves as the principal of Smyrna Middle School, although a search for the school’s next principal is already under way. Even though Stewarts Creek High School and its band program have only been in existence for about five years, the program has already generated multiple honors, including being invited to play at the 75th Anniversary of Pearl Harbor in Hawaii last year and being competitively selected to perform at Tennessee Music Education Association's state conference in April 2018. Directors Debra Burton and Michael Chester recently sat down with RCS Communications Coordinator James Evans and Communications Specialist Keith Ryan Cartwright to discuss the band program, the accomplishments and the philosophy that helped launch such a successful effort. The latest episode of the award-winning RCS Podcast “Beyond the Classroom” features Career and Technical Education Coordinator Tyra Pilgrim discussing the district’s extensive CTE program, its benefits for students and how our program continues to gain recognition at the local, state and federal levels.